I did some rearranging of of the play shelves this morning. I decide to turn this shelf into the puzzle shelf as I thought it would get more use from both of my children. It’s nice to set up a combined space I think. The top shelf my three year old uses. 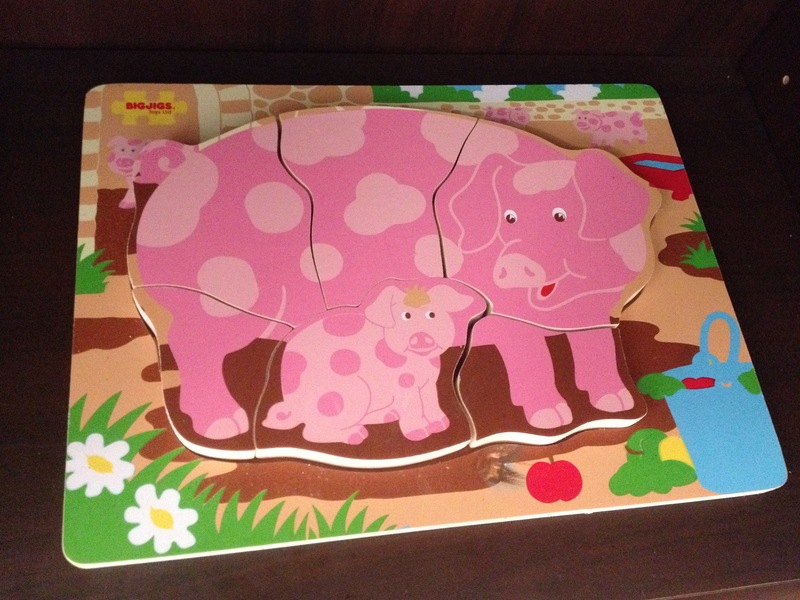 The puzzle on the left is part of a Melissa and Doug Transport puzzle set. 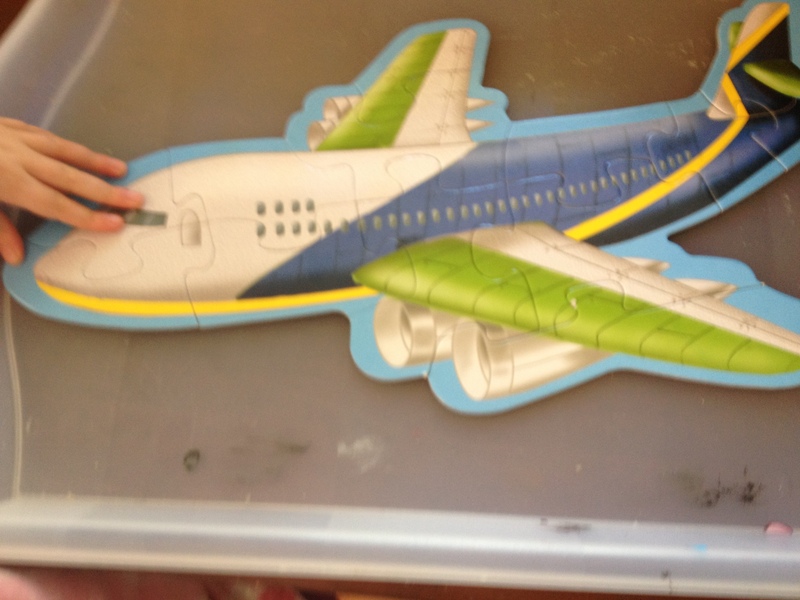 The one that we have out is the 12 piece aeroplane puzzle. 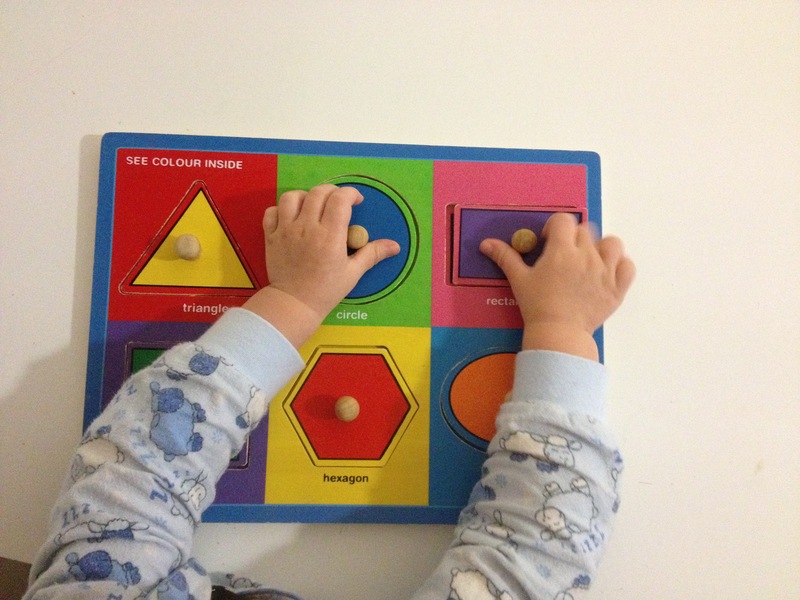 This is a bit tricky, so we do this one together. 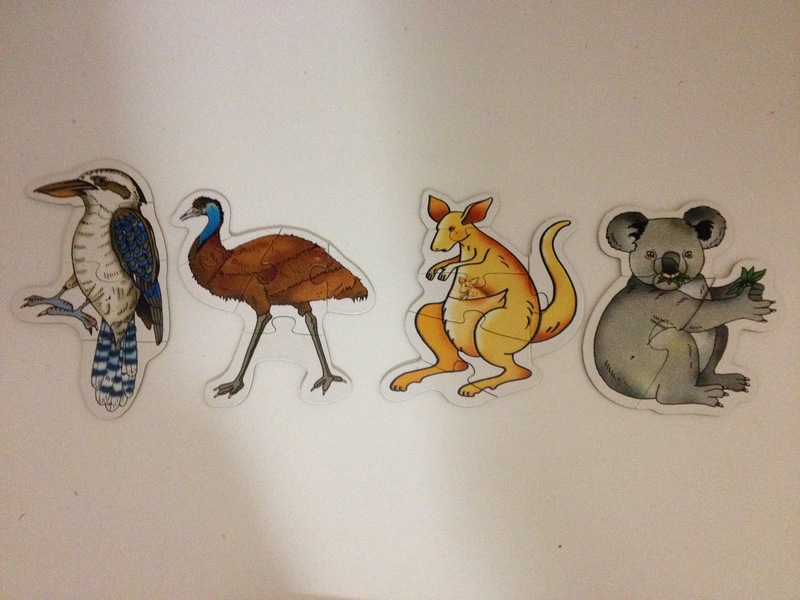 The puzzle in the box is also part of an Australian animal puzzle set and is a combination of 3, 4, 5 and 6 piece puzzles which my three year can complete on her own. 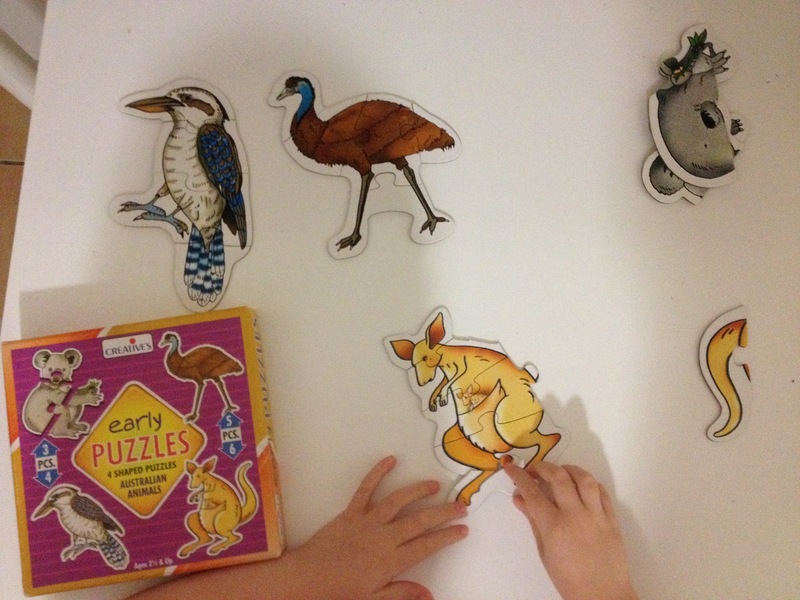 The next two animal puzzles also came as a set of 4 and are all 9 piece puzzles which she can also do independently. I will rotate these around when she loses interest in the ones on the shelf. 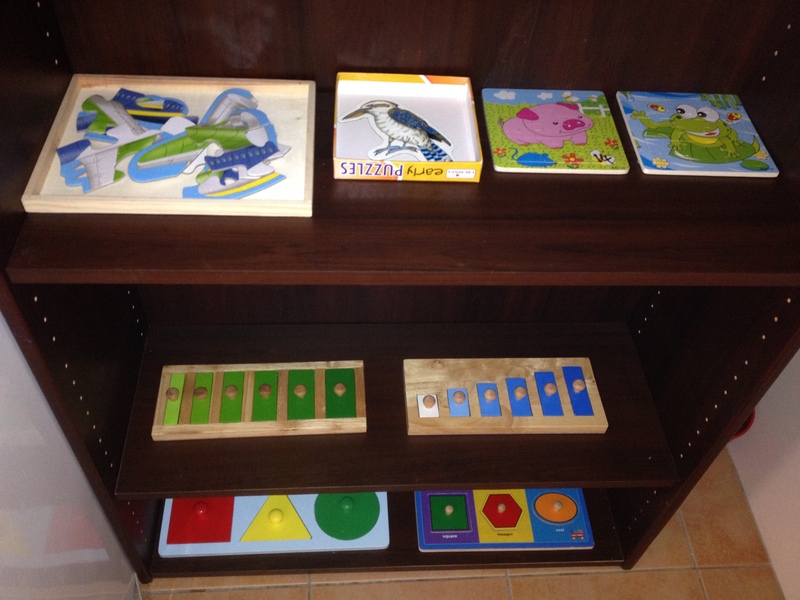 The middle shelf contains a short to tall puzzle and a narrow to wide puzzle. 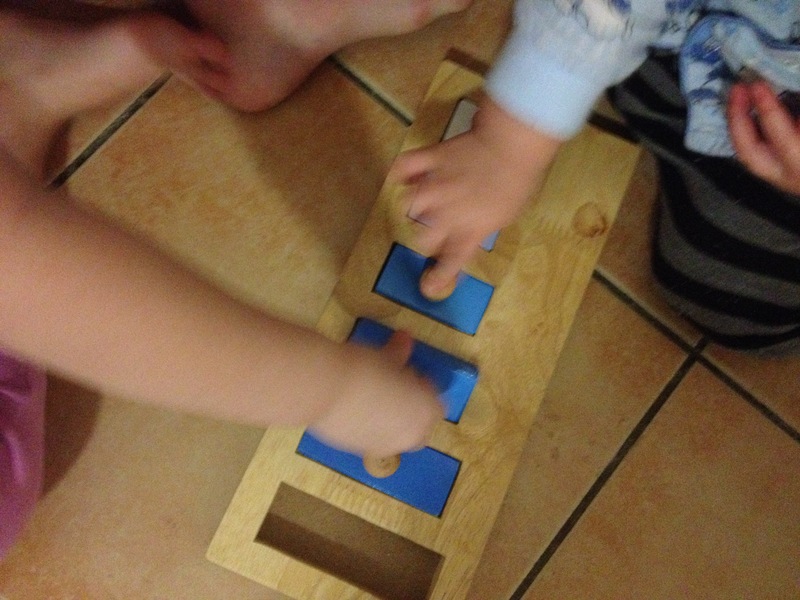 These are a little difficult for my fifteen month old but he likes to still have a go. He has managed to get some of them in the right place already. 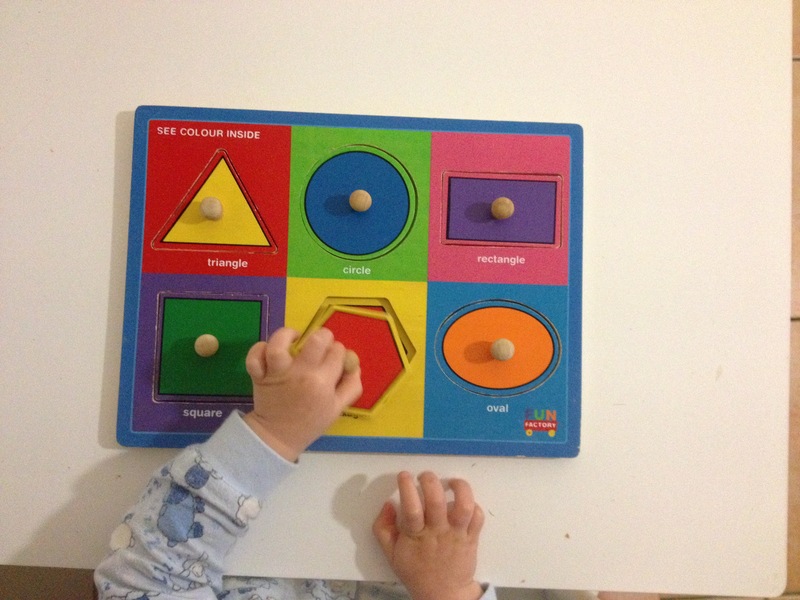 In this picture you can see my three year old trying to show him how to do this puzzle. Team work. 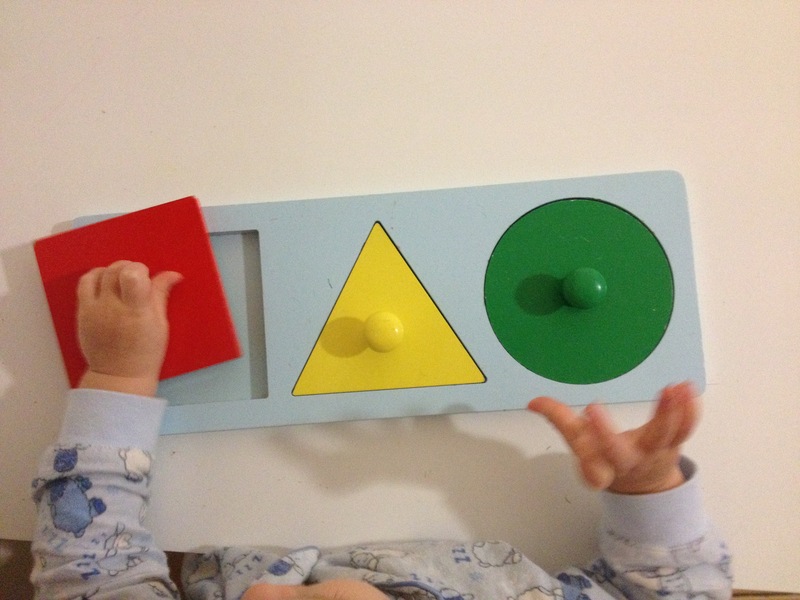 The bottom shelf contains shape puzzles that my fifteen month old loves to do. Edited 26th June. 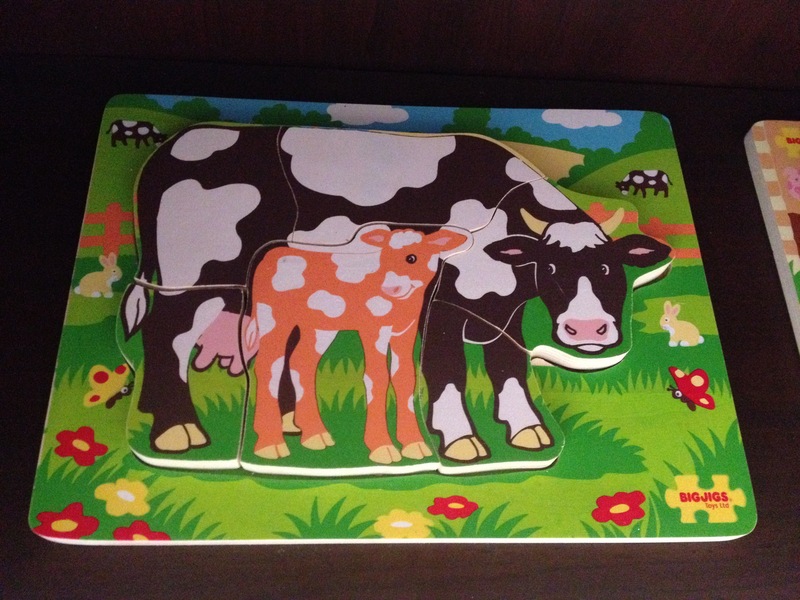 I’ve swapped some of the puzzles over. My 39 month old ask to put these on the shelf, she finds them easy but still loves to do them over and over. These were given to us as a gift. 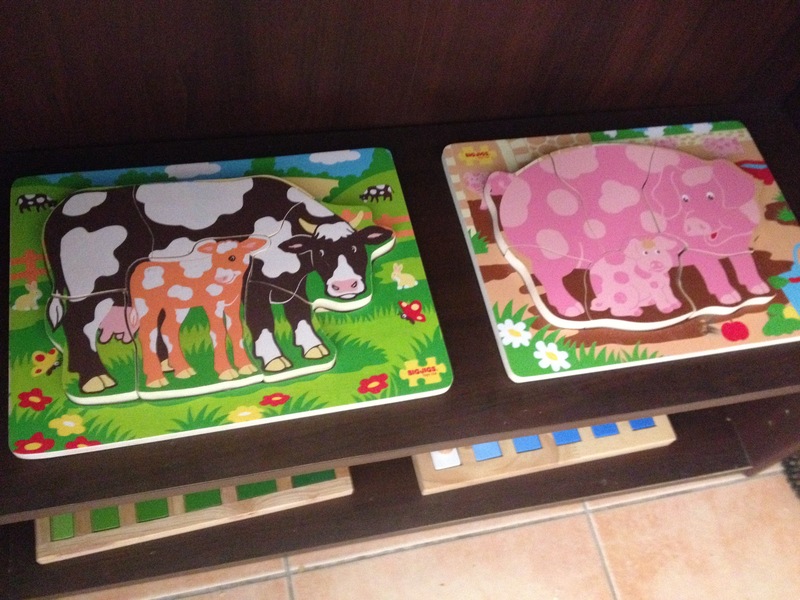 They are large piece jigsaw puzzles.